Today is one of the most important day for our country. It’s the Budget Day 2016. Traders get too excited today to trade. And almost everyone trades. The reason? It’s the budget day. Ask yourself if you are the one who is forcing yourself to trade – will one day of trading make you very rich? Is budget day a good enough reason to trade? If the answer is no – then ask why are you trading at all? How much will you make even if you win? 10k, 20k, 30k how much? Even if its 30k, will it change your life? And you know what odds are NOT in your favor to win, risk-reward is not good today so you might come out as a loser at 3.30 pm. On this day its easy to lose 10k, 20k, 30k may be more. Why take the risk at all. Why not stop all urge of trading just for today. Stock markets will again open tomorrow. 24 hours of waiting is not a big deal right? If you are absolutely certain you will make above 50k in today’s trading then trade – else just sit on sidelines and listen to budget. That’s more fun than actually trading fun. Yes if you are forcing yourself to trade then you are trading for fun – not to make money – not to create wealth. People who trade for fun in reality want to escape from reality. Stress from job, family stress etc, and when you trade you get some fun – it relaxes your mind because you are eager for a result. You think you are working hard for your family, creating wealth for them. In reality its an excuse to trade. Most of the time you end up losing money, but you still want to trade because you have that excuse to escape from reality. Be practical – ask yourself the price you are paying for it. 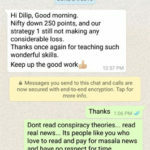 Is losing lakhs and crores of money trading just for some fun worth it? If you really want to create wealth for you and for your family, then the only way out is conservative trading. Yes it ain’t fun, yes is boring, yes it makes small money slowly, but at the end of the day it makes money – and that is what counts. This is what you want from trading isn’t it? Almost all brokers will block FULL margin today. There is no MIS (Margin Intraday Square-off – i.e. 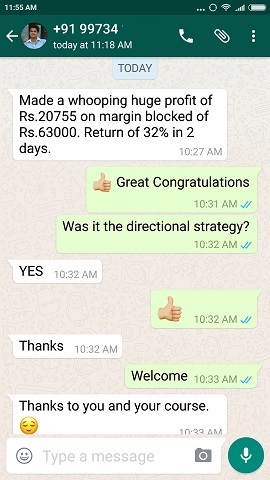 Margin for Intraday trading) allowed today. Only NRML will be allowed, which is margin blocked for delivery based trading or positional trading. There is going to be huge swings today, and with the swings your profits will turn into losses and losses will turn into profits and you will not understand when to take profits or when to get out with loss. 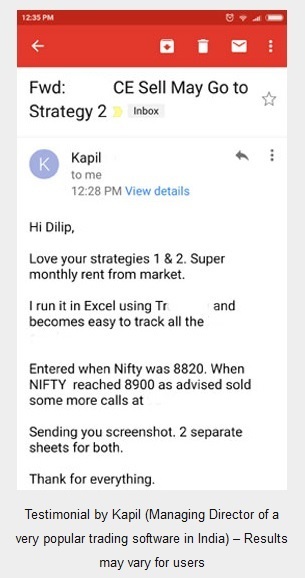 That is the reason brokers will block full margin today. Ultimately you may get out in loss. So yes you may have some fun, but you pay a heavy price for it. So What To Trade On The Budget Day? 1. If you are a conservative trader and if you see a real good opportunity to trade for the medium term, you should trade. VIX will be high and dropping as the speech by the finance minister progresses. But there will be huge swings as well. Be ready to take your stop loss if that level is reached the same day. But remember you are not trading for Intraday, it’s for the medium term with proper protection. If everything looks good and you are not trading to become rich in one day of trading (I guarantee this – no one will suddenly become rich today and there is a 99.99% surety at least that person is not you), then please go ahead and trade. 2. It’s better to avoid trading today but if you cannot stop your urge to trade then try the Long Strangle not Long Straddle. You pay a lot for Long Straddle that’s why it must be avoided. March options are not going to expire tomorrow. There is still a lot of time left. But VIX will fall, so be aware. The only thing that favors you is a huge swing. As soon as you make 20-30 points profit – exit. And take the day off. No more trading. Enjoy the budget. This is pure Intraday trade. Do not take this trade to next day – you are guaranteed to lose if the opening is not with a huge gap. 3. Avoid selling naked options AT ANY COST. Do not press the SELL button today. 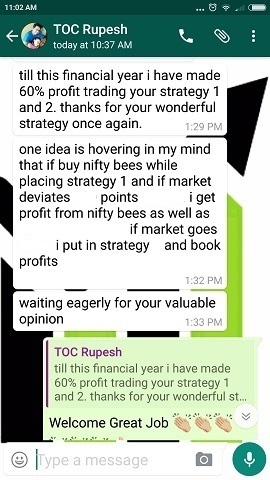 Those who have taken my course, its better you trade strategy 1 tomorrow, not today. Yes there will be a drop in VIX, but its better to be safe than sorry for a few points. And it will still take some time for the VIX to come to the level of 15-17. It won’t happen in one day. A 10% VIX fall in next few days is guaranteed though. 4. Those who trade VIX, sell VIX today and enjoy the profits. A 10% fall will make you good money. Give me my commissions when you take the profits out. 🙂 OK, I am joking. At least send me an email that you made a profit – that’s enough for me. 5. DO NOT TRADE FUTURES. PERIOD. I cannot explain further why. 6. Technical Analysis, Candle Sticks, Bollinger Bands or whatever will NOT work today. Even the best of TAs will fail today. If they win it is pure fluke/luck. 7. Credit / Debit spreads on ATM options with 100 points gap in 1 or 2 lots for fun is OK. There is either 10-12 points to be made or lost. But do not try to time your exits – which is like taking profits out in one leg then trying to take profits out in another – stock markets will make you fool if you try that. Get in and out of both legs at the same time. All in all its better not to trade – just because it’s a budget day. If you force yourself to trade, it doesn’t matter if its budget day or not, risk reward will not be in your favor. I got too many messages on my WhatsApp to give some trade for the budget day, that’s the reason for this article. I hope you got the answer and will trade with caution on the budget day. If you trade for fun, it’s OK keep trading and losing. But if you are serious in creating wealth trading conservatively in the long run, then I highly recommend do my course. It will help you not only to make money trading but also change your approach towards the stock markets. 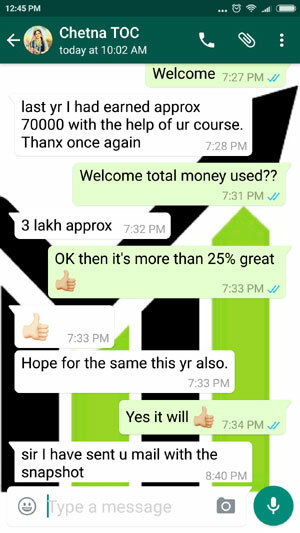 This course is not just about making money, but about peaceful life and happy trading. Sane advice on an important day ( ? ). Plz correct the ollowing line. ‘But do not try to time your exits..’. Thanks Sir done… Will update others as well this week..